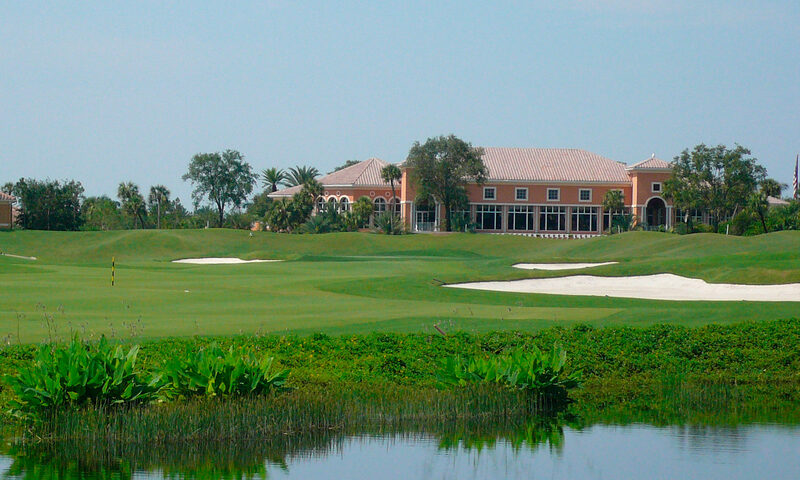 Discover the legacy and rich heritage of old Florida at Mirasol. The grand Florida experience is reproduced for you in this unique living experience to be enjoyed in this beautiful Palm Beach Gardens Real Estate. 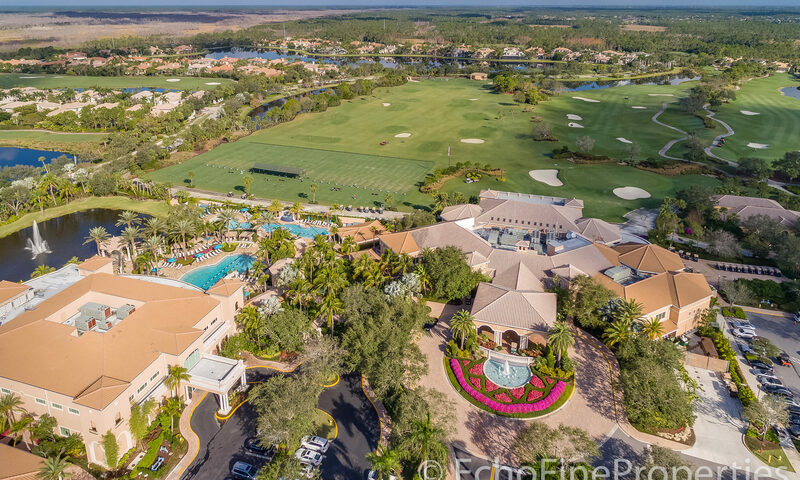 If it’s a tough match on the courts or the tees you are looking for, or you just want a peaceful retreat, then a tranquil, luxury Mirasol property has it all. 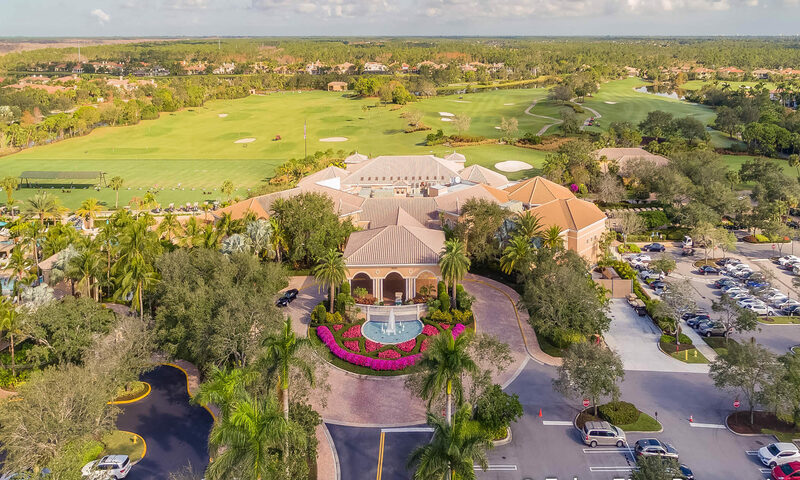 Mirasol Country Club is an exclusive community set on over 2,300 acres which comprises of 23 diverse villages, with a range of homes such as villas, cottages and estate homes. The properties range in size from the smaller 2300 square feet to the larger estates of around 8000 square feet. 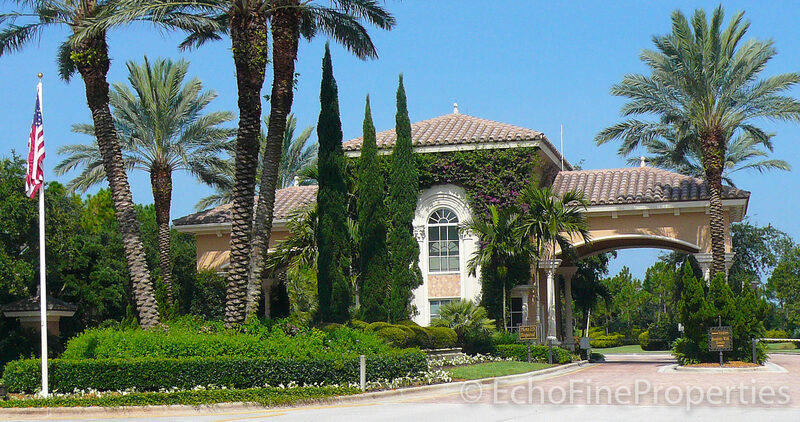 This group of homes are ranked as some of the finest in Florida and were designed and built by preferred contractors. 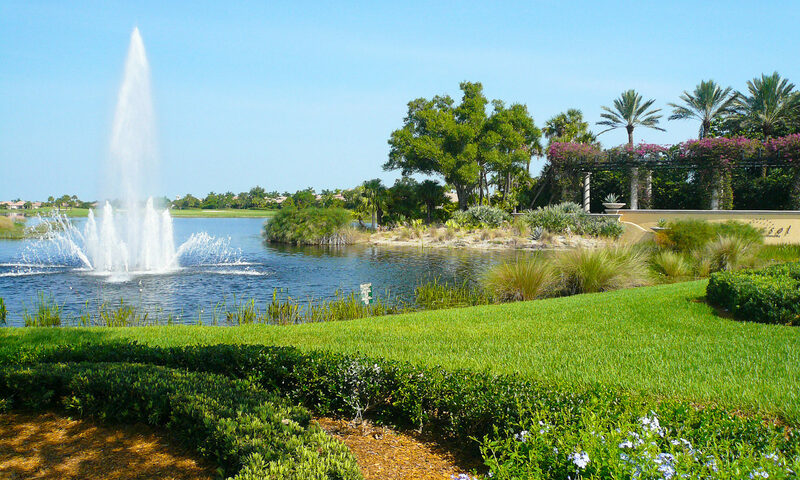 You will find homes set on either gorgeous lake front, golf course, or a natural preserve. Construction began in 2002 offering a unique collection of homes, with some custom homes still being built today. 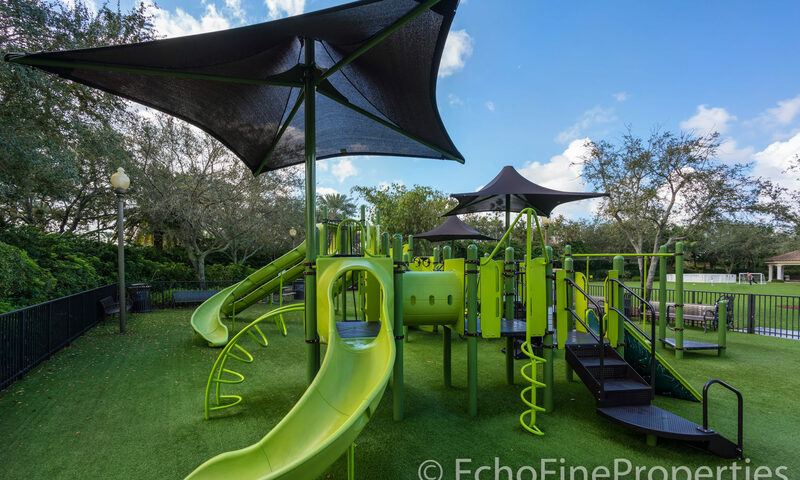 Constructed by some of South Florida’s finest reputable builders including Taylor Woodrow, G Mustapick, Kenco Communities, and Provident Development Group, Mirasol is made up of around 1,200 homes. These homes were influenced by Greek and Mediterranean styles with each village containing different sets of floor plans for single family estate homes, smaller cottages, and luxury villas. Buyers can choose from a variety of three bedroom to six-bedroom floor plans ranging from 2,400 square feet to over 7,000 square feet. 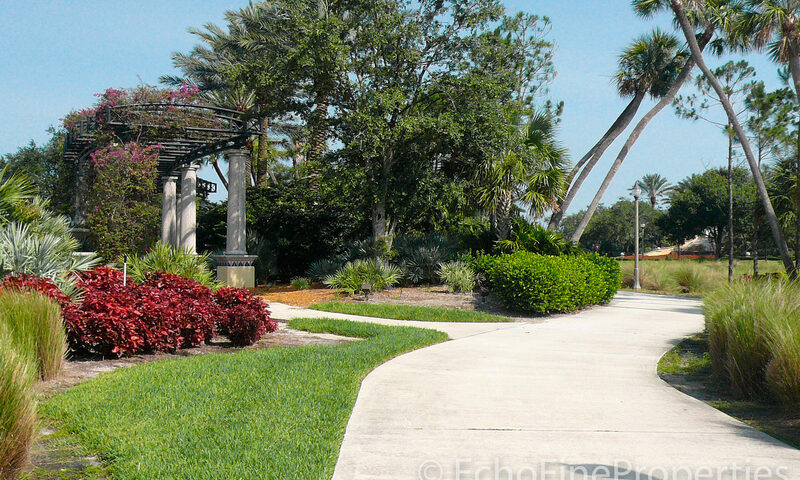 The 25 villages within Mirasol offer a lot of variety. 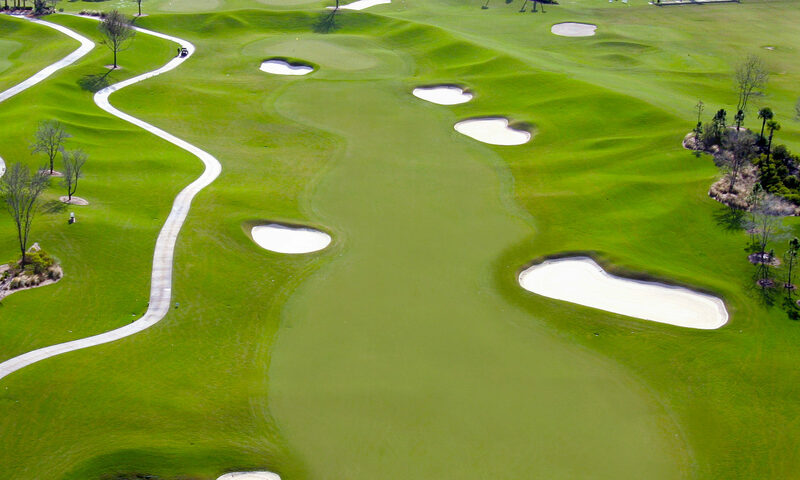 Andalusia is a community of 70 homes with water and golf course views. The cul-de-sac community of Bianca has 41 houses with manicured landscaping and views of lakes, natural preserve, and the Sunrise Course. 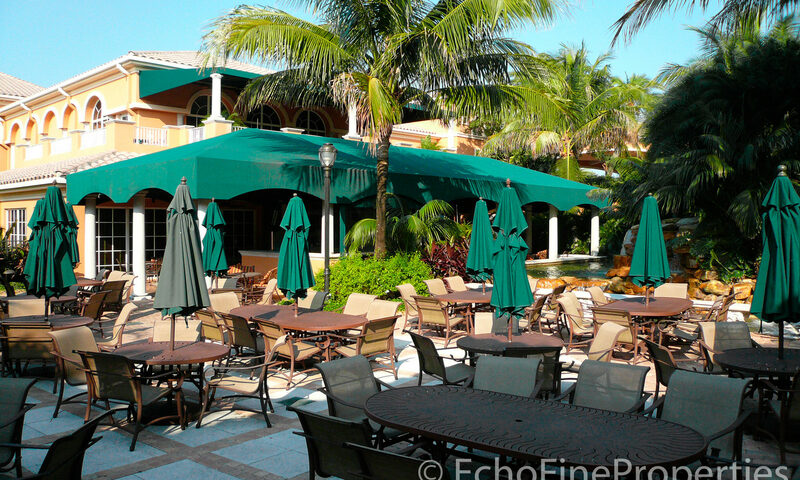 Capri is situated near the Grand Clubhouse and offers 18 custom built, estate houses. 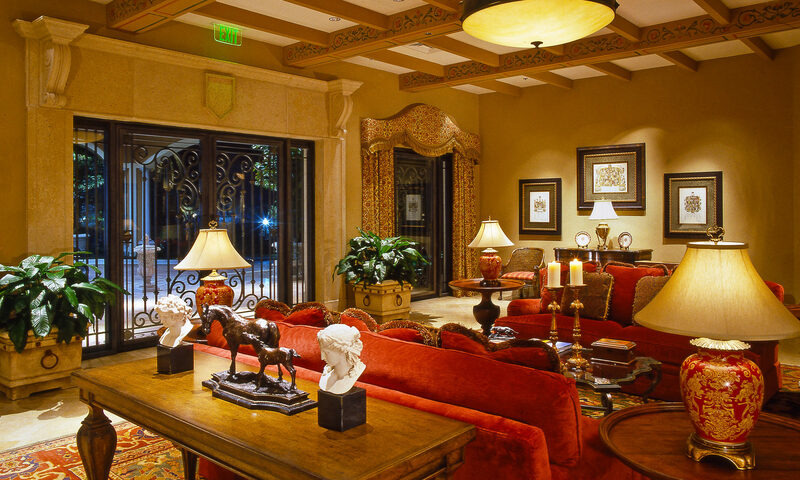 The Northern Italian-style homes here range from 6,000 to 10,000 square feet. Esperanza contains 68 enchanting homes with outside patios offering views of large lakes and the Sunset Course. There are 33 homes in Florenza, with casual and formal floor plan options. Magdalena homes have generous patios with lush landscaping and water views. 38 custom Old World style residences can be found in the subdivision of Mariposa. These homes offer views of the lakes on the Arthur Hills Golf Course. 49 houses compose the area of Monte Carlo with water and golf course views, and lovely sunset views. Olivera features 41 Mediterranean-style houses with views of the Sunset Course. As you enter Palacio, the stunning fountain captures the sophistication and appeal of these well-designed homes that offer views of the 15th hole of Arthur Hill’s Sunset course, or the 16th and 17th hole of Tom Fazio’s Sunrise course. The luxury homes here offer views of the biggest lake in Mirasol. Paradisio offers 46 luxury home sites, with gorgeous views. Playa Rienta has 35 elegant European-inspired custom homes, with views of the sunset course. Porto Vecchio has 135 home sites, also with spectacular views. Quantera is a magnificent neighborhood with beautiful residences full of elaborate amenities. 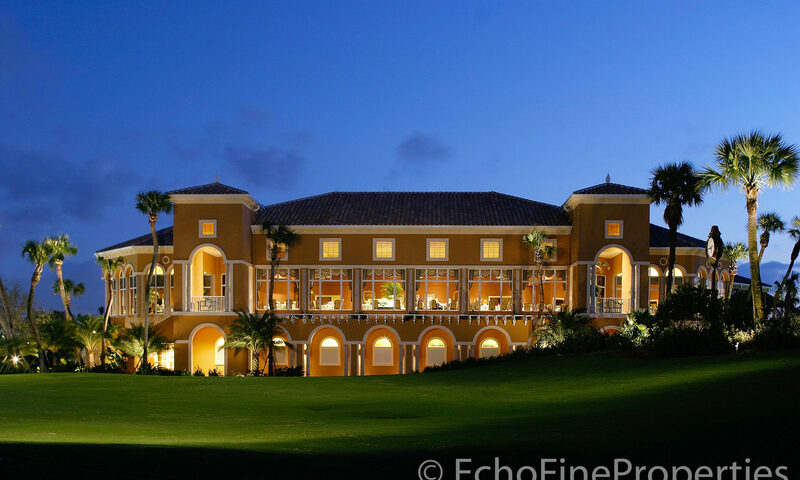 The Mediterranean style houses feature views of the 16th hole of the Tom Fazio designed golf course. Riviera is comprised of 78 houses ranging in size from 2,900 square feet to 4,200 square feet, with 3 to 5 bedrooms. The San Remo community is comprised of 56 houses with large floor plans. Siesta, situated on a private cul-de-sac, has 29 wonderful homes with popular one level plans. Santa Fe-inspired homes are found in Talavera with gorgeous details. Terra Linda features 31 homes with about 4,500 square feet of living space. Tranquilla offers serenity to residents, with 40 water view homes located near the East Gate of Mirasol. 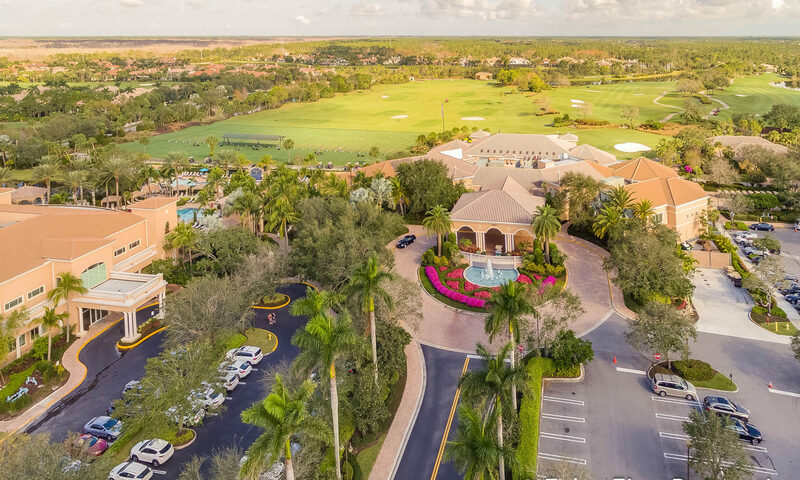 All of the roadways at Mirasol are meticulously landscaped with sidewalks, bicycle paths, and many beautiful vistas of preserves and private areas. This is a gated community with 24 hour around the clock security. 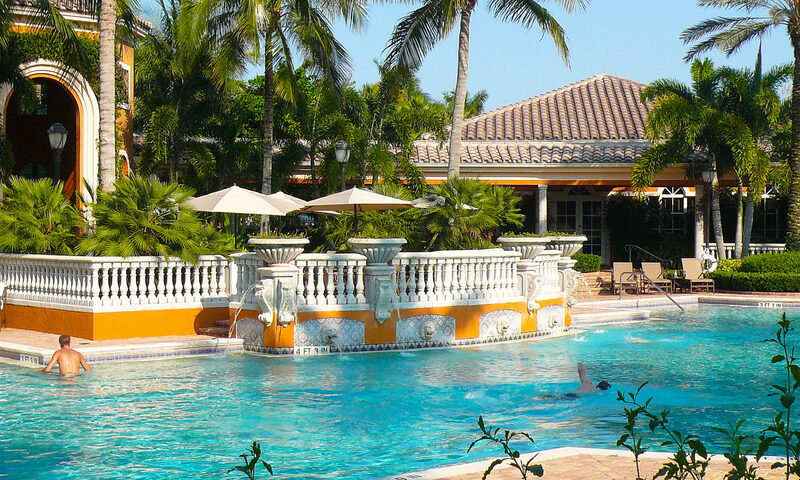 When you buy a home in Mirasol you’ll need an equity membership. You can choose from three memberships – social, sports, and/or golf. But the amenities you have access to within the community are second to none. 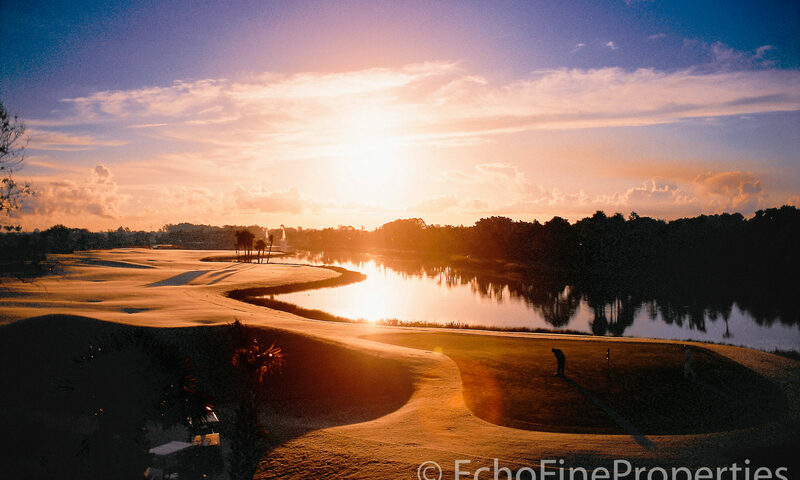 This luxury community has the honor of boasting 36 holes of championship golf on the Sunrise and Sunset courses, designed by legendary golf course architects Arthur Hills and Tom Fazio. The two courses have challenged some of the best golfers in the world! 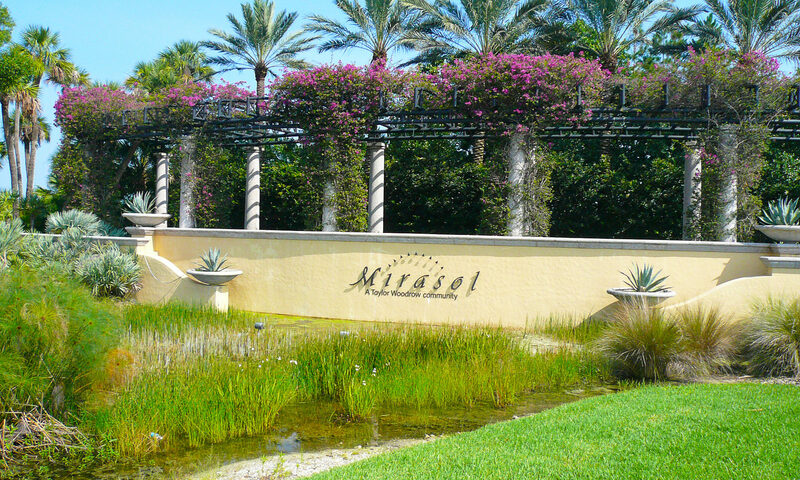 Mirasol also holds the distinction of having hosted the PGA Tour’s Honda Classic four times. 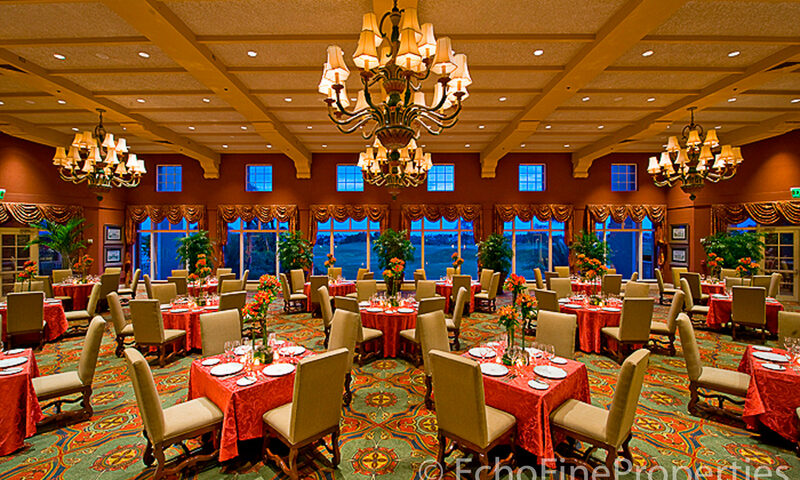 The Grand Clubhouse has been newly expanded and enhanced with 75,000 square feet of space. With both formal and casual dining areas on both floors, a golf pro shop, library, card rooms, meeting rooms, an expanded ballroom, and other club facilities. The Esplanade Sports and Pool Center is a state of the art, two story fitness center spread out over 7,000 square feet. The center offers Pilates, spin, group instruction studios, a luxurious spa, hairdressers, and a health-conscious caf called Revive. 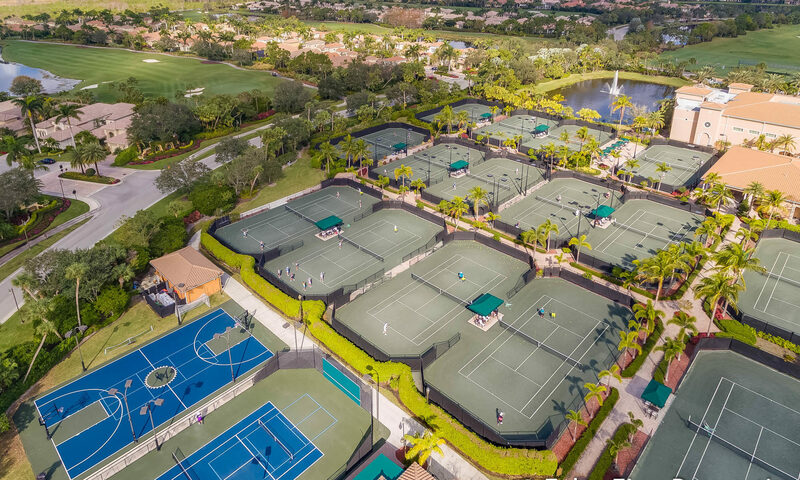 There is a separate children’s pool as well as the fitness pools, 15 clay tennis courts, and a dedicated building for tennis complete with a covered viewing area where competitive matches can be watched. 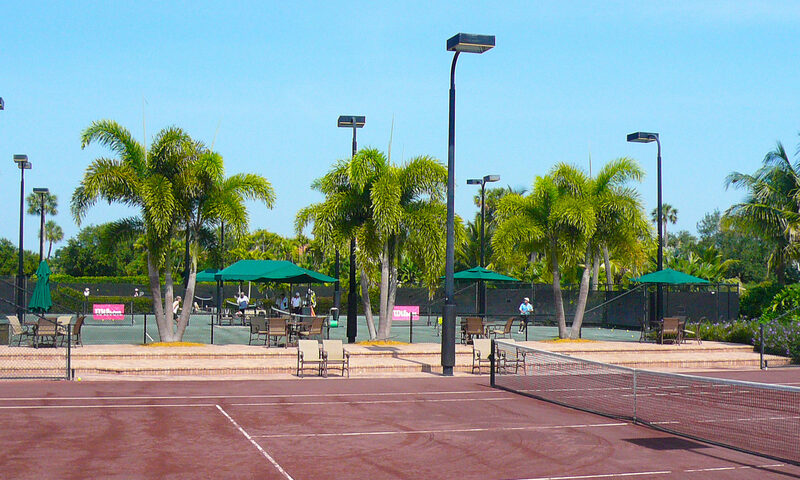 Mirasol offers an active tennis programme with men and women’s teams and children’s programmes. 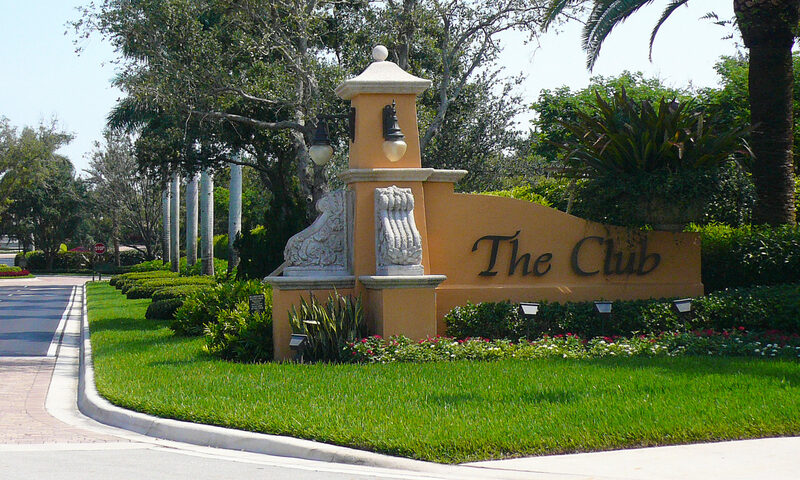 Equity membership to the Country Club at Mirasol is mandatory with home ownership. There are three categories of membership to suit residents; an equity golf membership entitles you to full use of golf, tennis, swimming, fitness, spa, and social facilities at the club. 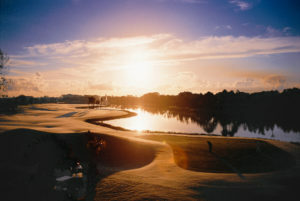 It also includes all green fees and allows fourteen-day sign up for golf tee times. An equity sports membership allows unlimited use of dining and social facilities and the sports and fitness center. An equity social membership offers unlimited use of dining and social facilities and the junior Olympic sized salt water pool. 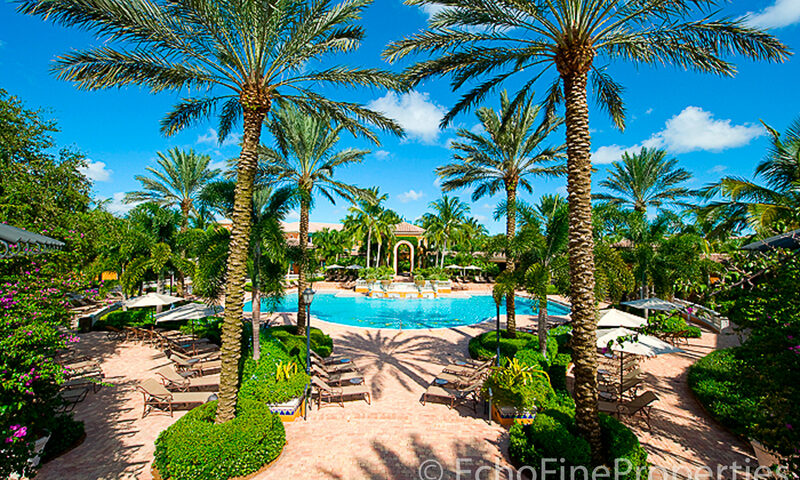 The amenities at Mirasol don’t stop there! 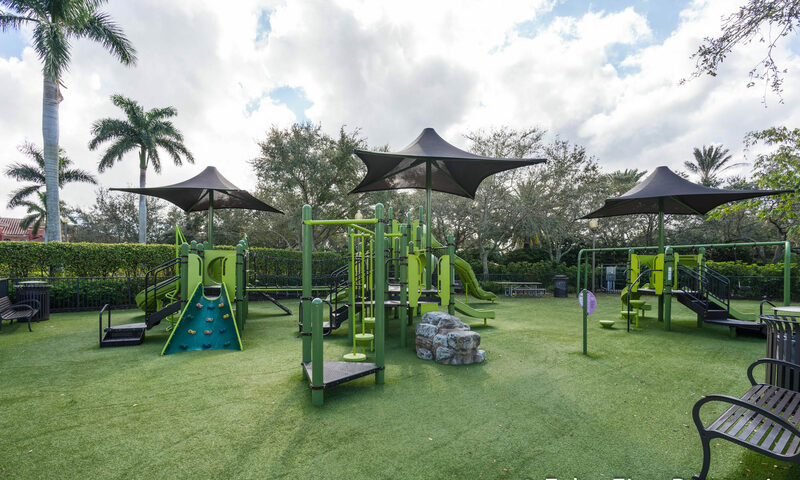 There is also a 15-acre community park that offers everything an active patron would want, including a basketball court, baseball and soccer fields, children’s play area, jogging trails, sand volleyball court, and a picnic area. Mirasol Walk is a 116,000-square foot neighbourhood shopping center located on site that features fantastic shops for the ease of all residents. Some of the stores found here include, Starbucks Coffee shop, a Publix grocery store, Bank of America, Sun Trust Bank, an Eyewear store, and even a gas station. Mirasol Walk is steps away from all front doors and offers great convenience in the neighbourhood. For residents with school age children there are some wonderful schools located near Mirasol to serve all levels of public school education. Some of the A rated schools include Marsh Pointe Elementary, Timber Trace Elementary, Watson B. Duncan Middle School, and William T. Dwyer High School. In addition to their fantastic community, Mirasol Real Estate owners enjoy the sophistication of northern Palm Beach County. 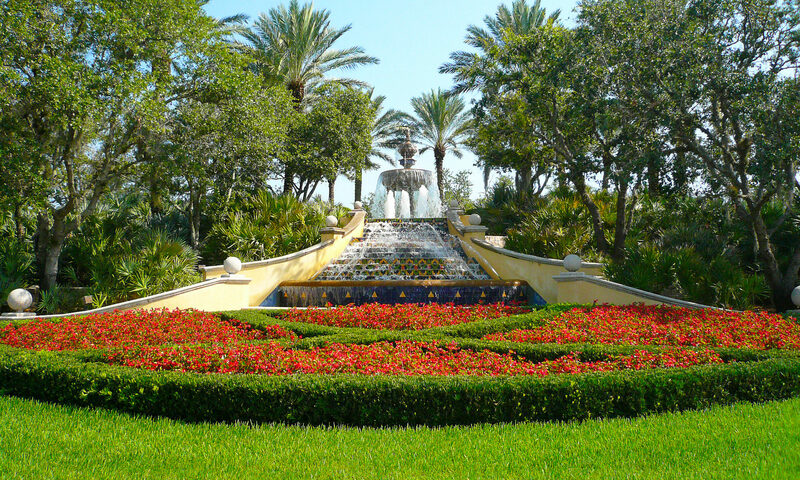 Situated just west of Florida’s Turnpike, the Palm Beach Gardens community is close to many stimulating opportunities for shopping, dining, sports, and entertainment. The Gardens Mall features such shopping as Sak’s 5th Avenue, Nordstrom’s, and Bloomingdales. The Outdoor Gardens features nine luxury restaurants, an 18-movie theatre complex, and a Whole Foods Grocery store. Cultural, arts, and sporting events fill the Palm Beach regional calendar year-round, from boat and classic car shows to auto racing, antique exhibits, greenmarkets, and equestrian competitions. The Kravis Center for the Performing Arts Center features world-class performances, from drama and comedy to opera. All the Mirasol Homes for sale can be found by clicking ‘view all listings’. Rentals have some restrictions from the club and HOA (home owners association). I am interested in learning more about Mirasol homes.